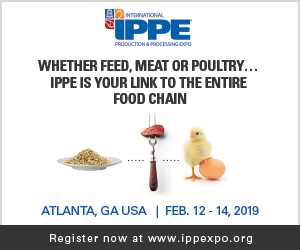 Blentech is excited to exhibit this year in Atlanta, Georgia at the IPPE – the International Production and Processing Expo. Show dates are February 12th – 14th at the Georgia World Congress Center. Stop by and visit with Robert Coffin and Randy Smith and see how Blentech can help you with your application at booth #4269 in Hall B.